The term “Trip” stated in these website and booking conditions is a representative form of any product itinerary or activities described on this website to buy or deal with us, including those which might otherwise be recognized as trekking, walking, hiking, climbing, sightseeing, mountaineering, tours, expeditions, as well as other adventure tour programs. Confirmation of the email is an officially the fastest way and an indication of your trip booking accepted by the company after your booking proceeds reviews. From this date, you are ensured to become your trip definite. A contract comes into existence after accepting reservation details by Luxury Holidays Nepal. 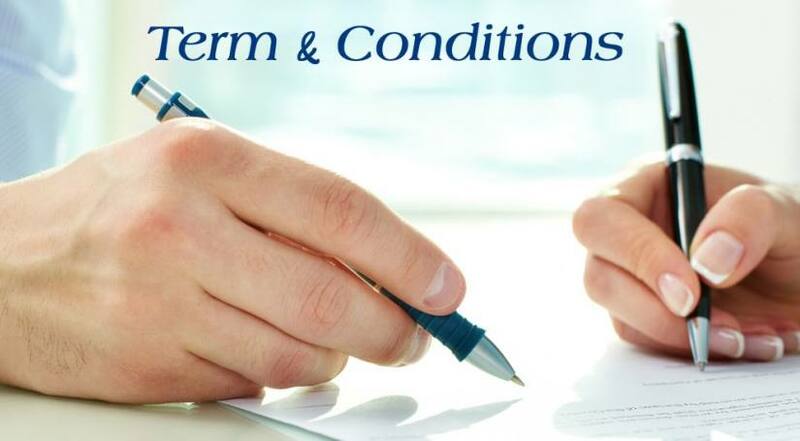 In fact, it is a condition in which both parties; the company and clients enter into a contract for its existence. Prior to any trip booking confirmation, a contract comes into force, in other words, the company reserves the right in increasing and decreasing of listed brochure price. Please be advised, in summary, that company would be a disclaimer of any warranty, collateral agreement, prior agreement, description of services or conditions, other than or expressed herein. To secure your place and to process the confirmation of your booking for Nepal trip, a non-refundable 25 (%) percent down payment of total trip cost is required to make in advance, deposit to the company within two weeks’ time from the date of inquiry in accordance with the company policy as per person basis. It is proof that you are intending to planning a trip. We need generally advance payments on your behalf for fixing prior arrangements for hotel reservation, flight ticket, transportation ticket, permit, TIM’s card, etc. Your service arrangements are managed as quickly as after proceeding the fund. The booking deposit is acceptable both through the bank transfer and by credit card (Visa or Master Card). The company does email for additional information regarding the direct money deposit details while proceeding in booking. Final remaining 75 (%) percent balance payments for trekking, tours, climbing, expedition or any kind of trips can generally be made upon your arrival in Nepal prior to initial departure date of any trip. The final trip documentation will be issued after full payment. You can make your payment by the bank transfer, travel check, cash or credit card. The surcharges of 4% will be added while making your payment (applicable for withdrawal and deposit with the objective of trip extension, final balances as well as miscellaneous purchase). The Surcharge is imposed by credit card payment service provider (your payment is received through the Alpine Travel Service, our credit card payment service provider). For Tibet, India and Bhutan trips, 100% payments are required within 1 months before starting any trip. After your request of trips confirmation is approved by the company, the second step of making your trips well- managed as you wish is to receive of the amount specified by the provision of company clause in the above statement. Fund transfer for booking trips is accessible, whether you made it through bank transfer or credit card (Visa or Master Card). You are advised to consider carefully while filling up required detailed information on transferring funds from any payment methods. The company also emails you the details for making payment once after you fill up our Booking form. a. Payment by credit card: After your arrival in Kathmandu, you can pay through your card in our office. Account Holder's Name: LUXURY HOLIDAYS NEPAL PVT. LTD.
Bank's Name: HIMALAYAN BANK LTD. Note: please, you can send fund transfer through the Western Union Money Transfer without any hassle and hesitation. For that, further information has been provided in the email corresponding. Email must be sent to us along with attached remittance slip or reference numbers after completing your transfer process. It would be better for us to check in case of different name forwarded by the bank. Please note that we are not responsible for in case of any delay or loss during the transfer process. Likewise, receiving your money with us is less than the amount you sent because of use of mediator bank or any other reasons; you are requested upon arrival to pay accordingly so that the total is equivalent to the product cost. Last minute booking is for clients who couldn’t book a regular trip due to many reasons, however, they are eager to confirm booking trips within a short span of time. Luxury Holidays Nepal has made special booking provision with regard to Nepal trip, your last minute booking with 100 (%) percent trip payments within 24 hrs is accepted. Likewise, we are always ready to be operated Nepal trip possible for almost any time. For this, you could contact us for more information at 977- 9851005129 (Shishir) or email us. However, in the case of Tibet and Bhutan trip, we are unable to accept final minute bookings. Sometimes in the rare case scenario, the incident might happen to face with unexpected events and unforeseen circumstances which are beyond both our management and clients control that contributes in the result of weather delay of your trip program or reschedule of your timetable. Similarly, conditions require cancellation of the trip as well. In such a case, we provide reimbursement of the advance payment under the following conditions. The contributing factors that caused for cancellation of trips are Religious, Cultural, Economical, Political, Social etc. in such circumstance, local government administration does not allow for participating in any sorts of the trip. Thus, Luxury Holidays Nepal will not undertake any responsibility for this event. Guides or Sherpa or any local people’s suggestions- about the condition of the weather, or condition of the trial or anything is advised. Ignorance of such may harm you or your health for that no other will take the responsibilities. While making full payment for any trip, you are liable to receive the refund amount in case of cancellation of a trip. Any trip cancellation made by a client has to be disclosed mandatorily in a written notification and acknowledged by the company. Your request with the submission of cancellation date is received by a company. In such case, a company deserves the right to impose certain applicable charge on your trip cancellation. The cancellation charge herein is the representation in terms of percentage of total charge listed online on our website brochure trip cost. Please note that no refunds of any trip cost will be made available to clients who drop out the journey in the interest of leaving any trip voluntarily regardless of any reason after your trip has started. No refund of the remaining unused amount as per the itinerary shall not provide to the clients. Similarly, no refunds are also applicable strictly for any accommodation, transport, sightseeing, meals, or services in case of not utilization by the clients. The company deserves the right in cancellation of your any trip booked unless it is not guaranteed to operate. The company deserves the right to cancel any trip concerning with the utmost safety of clients in course of guaranteed trip and prior to departure due to reasons beyond our control (for example: natural disaster, flight cancellation, consequences of strikes, industrial action, wars, sickness, quarantine, government intervention, weather conditions, or other untoward occurrence). In such an event, Luxury Holidays Nepal provides a refund of only the trip price. Refund of the trip price is provided also at the event of the company cancels on your guaranteed departure trip. Likewise, you are also entitled to take an alternative trip of the same value. Please be advised that your significant alterations exclude a change of airline carrier, flight timetables or itineraries provided the departure and arrival dates remain unchanged, the substitution of a vessel, modification of itineraries, and change in cabin category or hotel accommodation provided it is of the same category. However, the company cannot hold liable for any accidental expenses or losses incurred in visas, non-refundable flights or rail, vaccinations, non-refundable car parking or other fees, loss of possessions etc. due to the result of trip booking. Trip amendment is an obligatory condition in which trip itinerary should be changed because of undesirable circumstances appeared in the time of trip commencement. The factors beyond our controls make hindrance to operate trips such as weather conditions, landslide, etc. in such case, the clients are advised on time by the company. If clients want to amend the trip because of their personal reasons, you should send trip amendment notification to the company in writing. Then the company will make the necessary amendment. The following fee structure will apply for amendment of the trip. Booking amendment request made by clients 30 days or more prior to your original trip departure- US $ 50.00 per person. Booking amendment request made by clients less than 30 days of your original trip departure- charges as per cancellation fees. For making amendments within 10 days of the trip departure, the cost of the amendment may be higher depending upon the company’s arrangements with other parties such as airlines, hotels, Guest Houses, or operators of various activities. Please note that new trip price will apply to the reservation for booking amendment from the time of original booking to the time of the amendment in the case of any trip price change. Likewise, these fees depend on any charges imposed by the hotels, and other suppliers to the company. The clients have to notify in writing about current physical conditions at the time of booking with the factual information about any medical condition, any other mentally and physically challenged conditions which may affect fitness in travelling. Prior failure to inform the company at the time of booking indicated the client’s refusal to travel. Generally, failure to disclose such fact condition at the time of booking is similar to give the right to the company in charging 100% cancellation fee to the clients. In addition to consideration about the trip, clients may be unable to travel due to the factors affecting such as age, mobility, pregnancy or physical or mental conditions. In such a case, we suggest you to check the trip as comfortable as prior to booking. The company is not entitled to provide any special facilities unless it has agreed to do so in writing. The company will always make the best to suit clients special requests, including dietary, but such requests do not form part of the contract and therefore the company is not liable for not providing these requests. Medical facilities may differ from country to country, thus the company makes no representations and provide no warranties in relation to the standard of such treatment. You must understand during the course of trips in remote parts of Himalayan countries may bring an inherent risk as a result of bad weather condition, landslide, and flood etc. which is beyond our control, can cause serious injury and death. Our overall organization efforts will be in favor of avoiding such risks and hazards to our capacity at any cost. However, there is still a possibility of accidents happening, however low its probability may be. Thus, travel insurance is mandatory in undertaking any trip in the Himalaya and an insurance policy should cover adequate protection for the full duration of the trip. Sufficient and valid travel insurance with rescue and evacuation policy is mandatory for all travelers in which your purchase of policy must cover accidents, injury, illness and death medical expenses, including any related to pre-existing medical conditions, emergency repatriation (including helicopter rescue and air ambulance where applicable) and personal liability. The company also recommends it covers trip cancellation, curtailment and loss of luggage and personal effects. You must carry proof of insurance with you and produce it in the event of company reasonable request. Although, in the course of being unable to provide evidence of insurance when company request, the company holds the right to cancel or suspend your participation on a trip or in a certain part of a trip with no right of refund. Please note that the mountain adventures are often unpredictable. The main reason is that bad weather conditions in mountainous regions that can cause domestic flight delays. In case of delayed domestic flights, Luxury Holidays Nepal will meet the departing city accommodation (Guest House) and food (Lunch & Breakfast) costs prior to your trip. However, in case of delayed return flights, the client is responsible to bear all other additional expenses including food and accommodation. Also, if you wish to make an alternative, arrangements such as Helicopter flight to avoid flight delays, all additional cost would be your responsibility. Additionally, Luxury Holidays Nepal does not accept any responsibility for costs incurred as a result of a missed international flight but would assist to make alternative arrangements wherever possible. Please note that while on the field, we may have to make some changes in the itinerary due to unforeseen circumstances. All necessary documents should be carried out with you in sequence and has to be shown at the time of request made by the company. In case you cannot submit essential papers and documents for completion of trip formality, we cannot be held accountable. You must carry a valid passport and have obtained the appropriate visas when travelling with Luxury Holidays Nepal. It is advisable to ensure your passport is valid for 6 months beyond the duration of the trip. The company cannot be held responsible for your refused entry to a country or places due to lack of correct visa documentation. Nepal visa is available on arrival at the airport in Nepal. For Tibet and Bhutan, the company can make necessary arrangements upon request. In case of the India, the client will have to acquire the Visa from their own home country. Luxury Holidays Nepal would not be liable for any injury/health conditions/emotional or other conditions suffered by the client during the trip. Likewise, our package cost does not include any personal insurance. Hence, we notify the guests to take necessary insurance packages, including medical emergencies and evacuation by Helicopter just in case. There will be no discounts or money refunded for missed or unused services by the traveler. This includes voluntary or involuntary termination/departure from the tour, i.e. sickness, personal agendas, late arrival of the tour, or premature departure, etc. As you know, trekking in the remote parts of Himalaya requires a certain level of physical fitness thus it is recommended to consult with a doctor before deciding travel in Nepal. You should notify your current health conditions of any pre-existing medical condition and/or disability that might reasonably be expected to increase the risk of required medical attention that may affect your ability to travel. A legal guardian must accompany all travelers under the age of sixteen. Further information about age and suitability has been providing in email correspondence. The company offers special discount rates during holiday and off seasons for some of our services that apply only to specific products and limited to a specific time period. To take advantage of those offers, clients must have to be made booking within the time specified in the offers. You will be unable to enjoy the offers while making trip booking, prior to or after the offer period. An international group leader who is planning a trip in Nepal with the participation of at least 6 members in a group, Luxury Holidays Nepal has been offering 10 % trip discount per person on currently published brochure price. The company has been operating the trip at any size of the group and an individual along with private personalized services, however, with the less than 6 members in a group will not eligible to receive these offers. The company has also been providing the services for some international agencies to guide the trip in Nepal. The company has therefore made special rate provision for any party who wants to join with us for the coordination and cooperation in Nepal trip. School and college group whose objective is to serve in a remote community with the help of volunteer programs in Nepal during their holiday. Luxury Holidays Nepal has been helping in such program access our valued guest plan with a reasonable trip price. For this category of trip, the company has been made special price provision in which listed trip price on the website will not be used. The company has been giving such price rate during the booking. The company has been providing a reasonable price rate to the School and College group as a social responsible organization and to assist the local communities’ welfare. All our holiday trip packages, rooms or tents are based on twin sharing. The Single room supplement charge will be levied to the clients if they do not have another tour participant for sharing accommodation. Your safety and enjoyment are paramount of our concern. We will not compromise it any cost. Entire teams, hence discharge their responsibility being very sincerely to guarantee your holiday for free, hassle as well as free trouble trip in a great extent. We are committed to offering highly professional services that definitely provides once in a lifetime journey. We organize any kind of trip with strong team coordination, cooperation and support along with much more honesty and seriously in our duties and responsibilities as a result in the smooth and pleasant holiday. Nevertheless, the entire trip programs in Nepal are conducted strictly under the rules and regulation of the individual programs. Uncertain and inherent circumstances lead to change the trip. Therefore, Luxury Holidays Nepal and its associated organization shall not be responsible for any changes in the itinerary because of unavoidable circumstances like a natural calamity, landslide, road blockage, government restriction and political strike, cancellation of flight, delay, sickness or accident. Additional costs incurred during this time should be borne by the clients themselves on the spots. Luxury Holidays Nepal has been established with the objective of providing benefits directly to the local people, tourists, the environment, government and tourism industry at large extent. You are requested to read for more detailed information about our Responsible Tourism Policy before booking your holiday with us. We always expect from you to consider our guidelines and policy and we intend to provide good service to keep you satisfied throughout the trip. We do best our effort to make sure comfortable, exciting and thrilling travelling. However, it must be commonly understood that what you might be accustomed to in the western affluent countries, the Himalayan countries may not afford such facilities. Weather is one factor associated directly with the journey. Therefore, patience in mind, enthusiasm and proper preparation before heading must venture into the journey. In the trip, our crew member performs their task best to keep your luggage safe. Although, in the event of any loss or damage of your luggage or property, belongings, while carrying out by porters, ponies or vehicles, the company will not take any responsibility for the loss. Thus, you are advised to purchase comprehensive insurance in order to cover such a hazard. Luxury Holidays Nepal may use the images taken by clients during the trip, without prior notice, recourse and compensation. However, if you don’t want your images to be taken, you should inform us in advance. These images have been used for publicity and promotion purpose through a different medium. For obtaining necessities information from the client during the booking, the company asks several questions. No private or personal information that you supply to us when making a booking will be indulged for any other purposes. Luxury Holidays Nepal mission is to finance its community enhancement programs through the revenues generated by tourism. The proceeds from any Luxury Holidays Nepal organized the tour and trek goes 10% directly to uplift the educational status of needy children of rural areas of Nepal.